Cathy Isom has us celebrating, and enjoying, one of our favorite fruits while sitting on the porch swing gazing across the lake, or at our beautiful garden. She fills us in about a sweet treat just in time for summer. That’s coming up on This Land of Ours. Whether from your garden, the market, or local farmer’s market, you’ll want to have plenty of fresh strawberries on hand today. 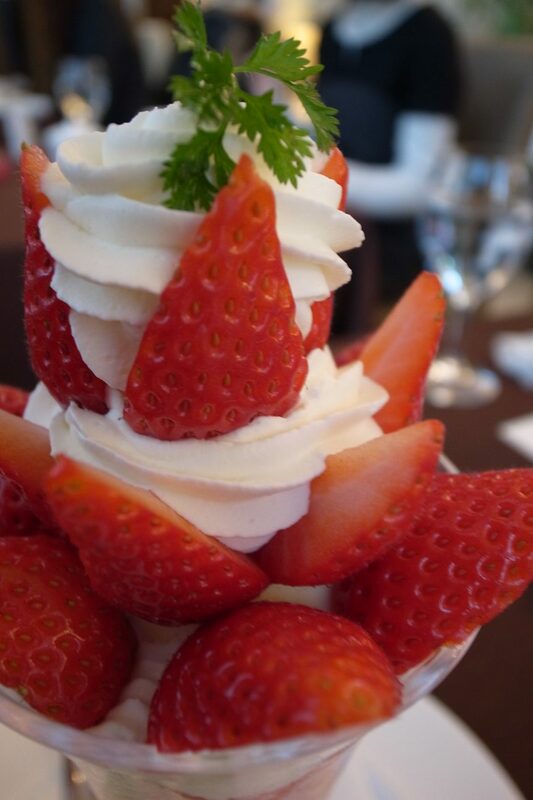 June 25th is National Strawberry Parfait Day. Parfait is French for perfect. The traditional parfait is a dessert of ice cream or frozen custard layered in a tall stemmed glass with fruit and topped with whipped cream. Today, the ice cream is often replaced with yogurt or pudding and additional layers of granola are added. Strawberries are in season during the month of June, so it is a great day to cut up that fruit and layer into a perfect parfait. Have it for breakfast, lunch, dinner or anytime during the day. Strawberries are just 49 calories per serving are high in vitamin C, and a high source of various antioxidants. If you’re enjoying at your restaurant or making your own creation at home, use #NationalStrawberryParfaitDay to share with everyone on social media.